Good Monday Morning to all of you! I hope everyone had a great weekend! I am so excited to tell you about a new product I have been trying by BIOSSANCE called The Revitalizer (now known as 100% Squalane Oil). It is the brand’s patented plant-derived emollient, Neossance Squalane, which replenishes your skin using a moisturizer found naturally in your body. What is Squalane you ask? Squalane is one of the vital moisturizers found in your body that keeps your skin looking beautiful, and who doesn’t want that. It is among the most common lipids produced by human skin cells, making up approximately 10% of our sebum. It acts as a barrier on the skin, to protect it from moisture loss and to provide a shield of protection from environmental toxins. With use, Squalane can reduce wrinkles, eliminate scars, reverse UV damage, and erase skin pigmentation while fighting free radicals. Due to its high penetration efficiency, it is the perfect transport system to help your skin absorb other ingredients. Squalane is also known as “shark oil”. 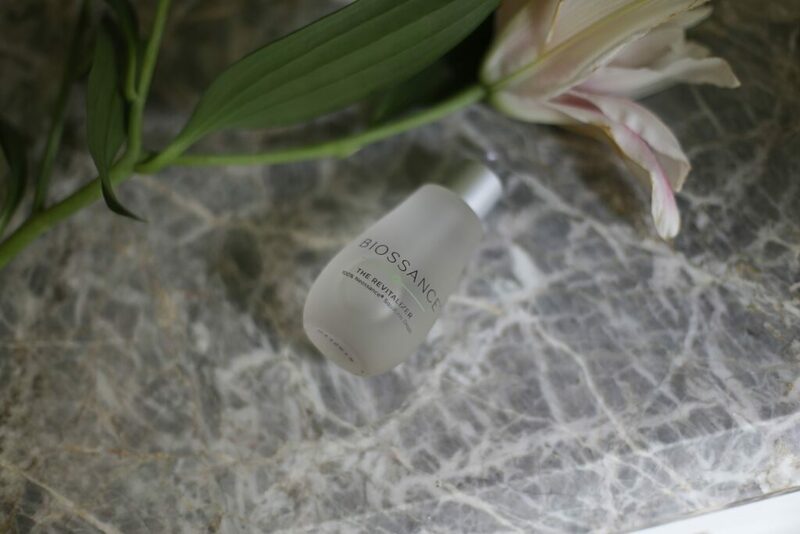 BIOSSANCE uses a patented, 100% plant-derived emollient as I mentioned above and is animal-friendly. No cruelty to sharks…love that! So, what will The Revitalizer do for you? It will instantly hydrate your skin, while locking in essential moisture, leaving it feeling nourished and noticeably revitalized. 95% of women agreed that their skin felt instantly hydrated and 95% of women felt that, after one week, their skin appeared softer and smoother. Also, 84% of women agreed, that after two weeks of use, their skin felt revitalized. I don’t know about you, but hydration is key for me at this age! The great thing about this product, is that it can be used on your face and body. It can be used as a hair serum for shine and to tame fly-aways, and what I’ve really liked, using it on my always dry cuticles. 2-3 drops are all that are needed for a cleansed face, neck, and body. It is dermatologist tested, paraben-free, non-comedogenic, and hypoallergenic. I have been adding the drops to my facial moisturizer, and have really noticed a softness. I have also been using a few drops on my left hand (only) to see if there is a difference. I really do think my skin looks plumper on that hand. I have complained about chapped lips for a while now, and am going to use a small amount on my lips to see what happens. The good news is the price is only $58 for 1.7 fluid ounces. I thought it would cost a lot more for the size. Just a few fun facts about the company. In 2005, scientists from their parent company, in collaboration with the Bill & Melinda Gates Foundation, developed one of the world’s leading anti-malarial treatments, helping treat over 3,000,000 people to date. Sounds like some smart people who know a thing or two about science! They are also helping a non-profit called I AM THAT GIRL, to help girls transform self-doubt into self-love, by providing a safe space to connect and have honest conversations about things that matter. Helping girls love who they are and seeing all of their positives to empower them to inspire others. I like this company!!! Okay, where can you get The Revitalizer (now known as 100% Squalane Oil)? Right HERE or on their website. I would love to know what you think after ordering and using it. Have a great day, and thanks for reading!!! 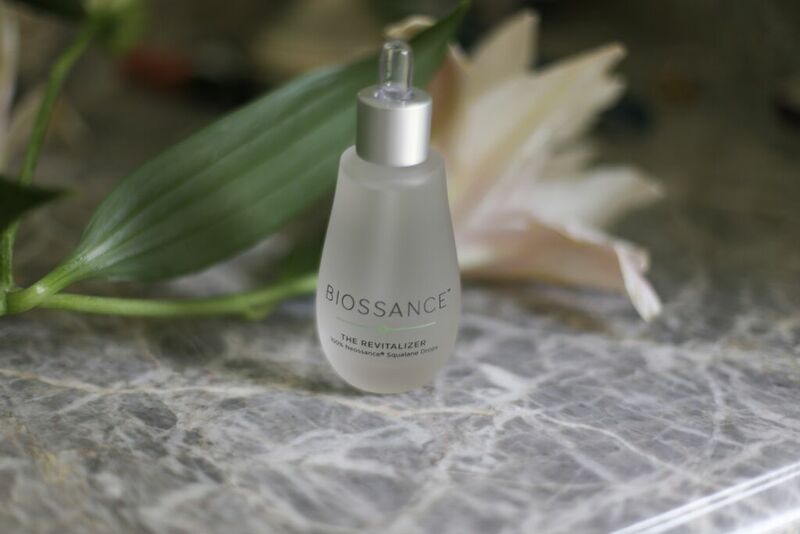 Share the post "BIOSSANCE- THE REVITALIZER"